The idea of “quick,” “easy” and “permanent” never really seem to be comfortable bedfellows. But there’s at least one place where they come together with ease: on the site of road repair with EZ Street cold asphalt. Our story begins in Healdsburg, California—the place where the famed wine-producing appellations of Russian River, Dry Creek, and Alexander Valley all come together. On the morning of the job, the road crew visits longtime Napa Valley asphalt provider Syar Industries. 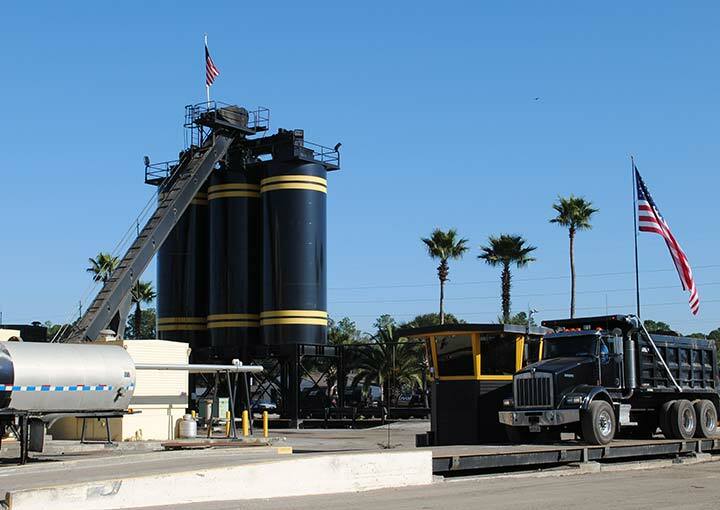 Syar has plenty of bulk EZ Street asphalt on hand, and they load it into the truck. The crew drives to the first site where the road needs repair. Quickly getting to work, they sweep any loose debris out of the potholes. Next, they shovel the EZ Street product out of the dump bed and into the holes, patting it into place and leveling it out. And finally, using a motorized plate compactor, they compact the product. Job done. No waiting around for hot mix. No worrying hot mix is going to go past its usable life. Minimal hands on the job. Just sweep, fill, compact, move on to the next location, repeat. 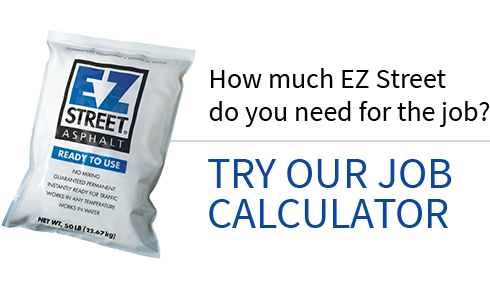 EZ Street cold asphalt: showing potholes who’s boss.